Near Sciacca, Agrigento, open in Mount Kronio some thermal caves known since prehistoric times and widely used in the greek-roman era: the Stufe (stoves) di San Calogero. It is a network of entrances at the top of the mountain emitting hot air, saturated with moisture. These entrances provide access to a real underground world where the temperature reaches 40 °C and surviving without special equipment is limited to 30-40 minutes. It has not always been so. 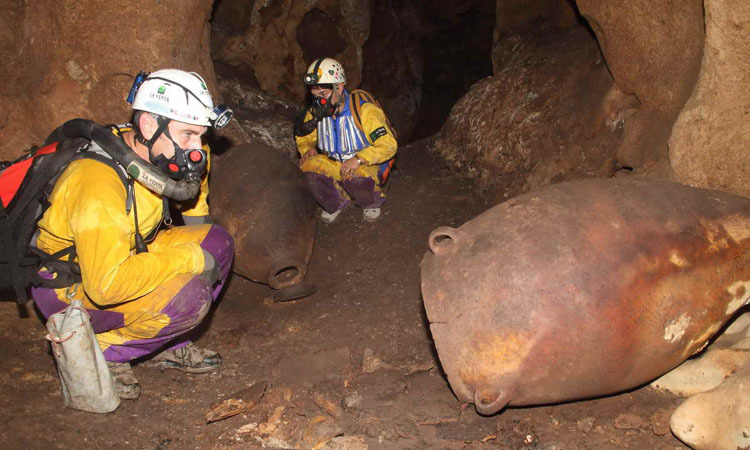 Until 4000 years ago the environmental conditions would be more favorable and these caves were used for worship, with dozens of depositions of vases and other artifacts. Later, perhaps as a result of volcanic events, the internal temperature rose to intolerable levels, "freezing" the depositions and making these caves unique in the world for archaeology. 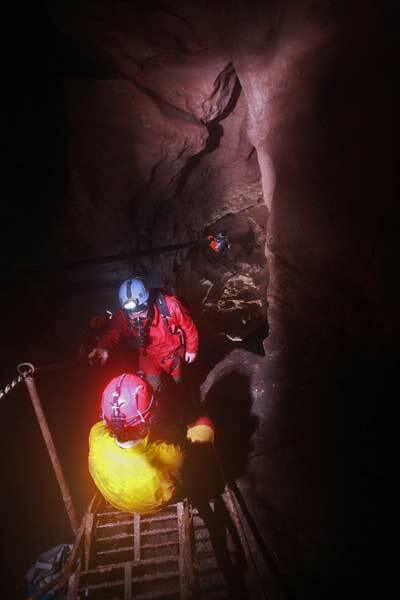 The first exploration of the "Stufe di San Calogero", carried out with extremely risky techniques, dates back to the forties, organized by the "Commissione Grotte Eugenio Boegan" of the Società Alpina delle Giulie founded in 1883. 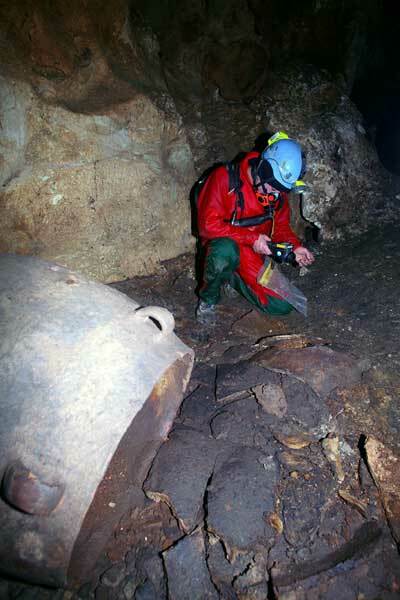 The explorative activity, lasted for decades, increased the knowledge of the cavity, but also led to the discovery of this unexpected and intact archaeological deposit. It was a real cultural and scientific treasure, but to conduct in-depht studies the traditional techniques were no longer enough. For this reason, the Commissione Grotte Eugenio Boegan decided to share their research with La Venta Association, who transferred, within the more extensive and complex underground world of Mount Kronio, the experience gained through years of speleology and scientific documentation around the world and especially in the exploration of the Naica Crystal Cave, in Mexico. Now the two associations are coping with this extreme challenge in a multidisciplinary project that, in addition to exploration, includes the study of micrometeorology, biology and microbiology, mineralogy, coordinating researchers from different research institutions worldwide. Exploring such and extreme environment poses risks and problems difficult to imagine; it has been necessary to develop new equipment and techniques, not only to explore but also to allow a comprehensive and detailed scientific and archaeological research combined with a meticulous photo-video documentation. 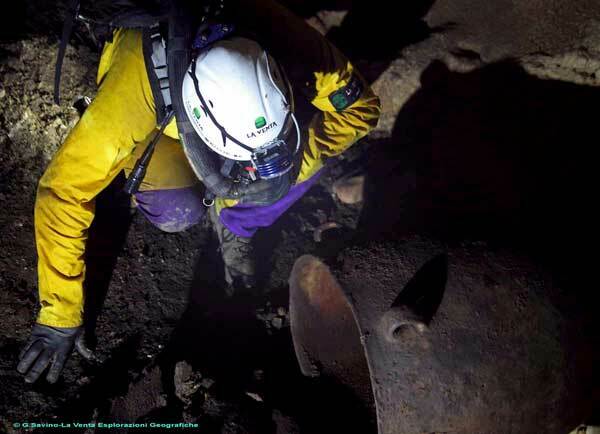 The research is still continuing and is far from being completed, but has characterized the energy status of the mountain, the microevolution of the internal atmosphere, and has revealed an extraordinary microbiology and a rich mineralogy. From the archaeological point of view, in collaboration with the Soprintendenza Beni Culturali e Ambientali of Agrigento, in December 2012 were carried out some sampling of the vessels, a photographic documentation and the collection of two important findings currently studied by that superintendence. One of the most audacious challenges in Mount Kronio, in fact, is making a documentary edited by an international staff that has to invent new solutions, equipment and techniques to document a high quality research, unique in the world.